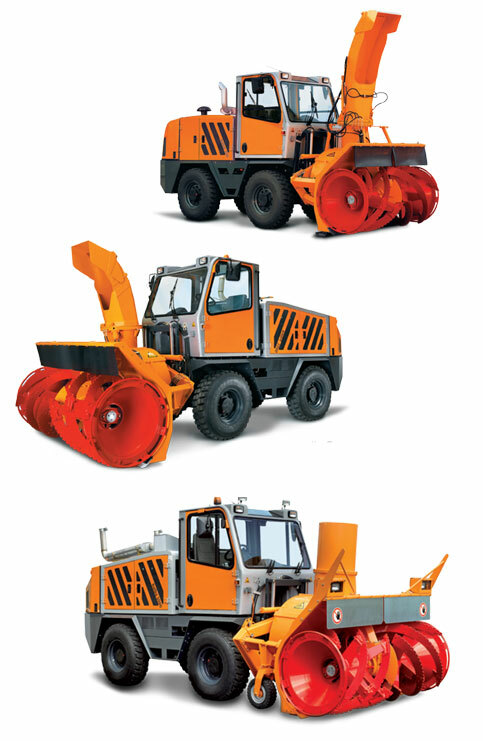 Rolba airport equipment is designed to combat winter. – Rolba rotary snow blowers are extremely tough and durable, thanks to their powerful motors. This power is a prerequisite for effective and economical snow removal. – The crab steering system allows you to get out of difficult situations. – An additional skylight provides a direct view of the loading chute deflector. – The cutter and impeller can also be fitted with automatic overload safety devices instead of shear bolts. The rigid chassis design combines with robust axle suspension to transmit maximum thrust. This simple, rugged construction is the base for the well-known quality and durability of Rolba snow blowers. All Rolba models can be equipped with a wide variety of additional equipment to meet the specific needs of each application.